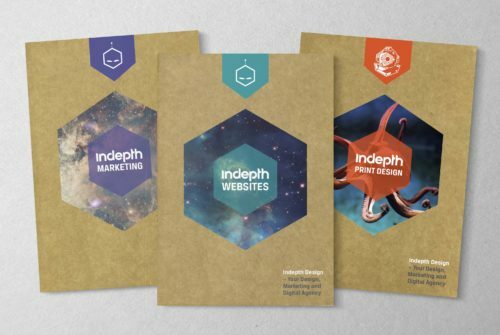 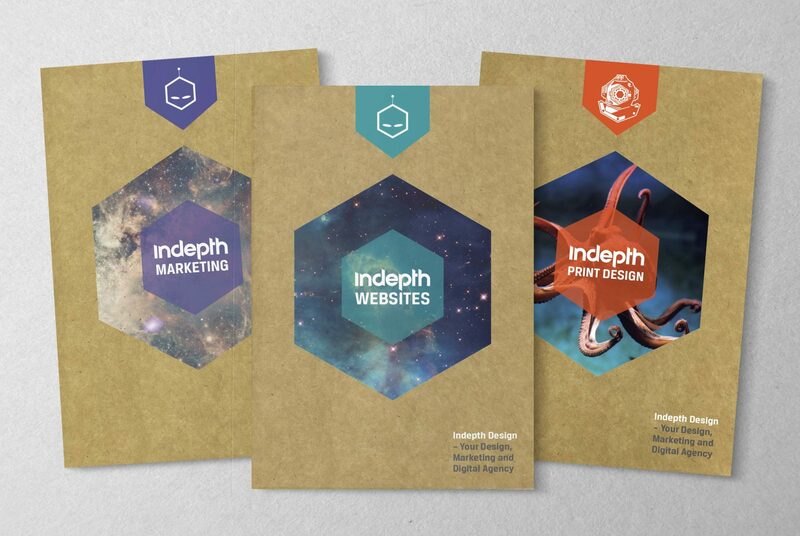 Indepth Design recently went through a rebrand process and all marketing and print materials required an update. In order to promote our services in a visually effective way, we decided to create a brochure for each of our four main services; branding, websites, marketing and print. The style of the brochures were a merge of old and new. 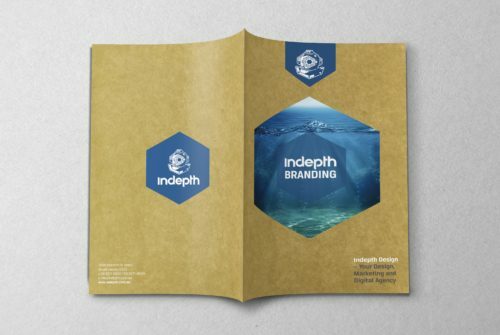 The vintage brown paper background was used to create a nostalgic feel, referencing the fact that we are returning to our roots. 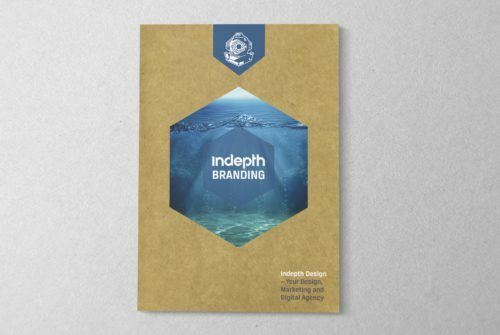 This was relevant as the old Indepth logo used to include a diver, and this has once again resurfaced in our newly updated logo, in the form of a diving helmet. 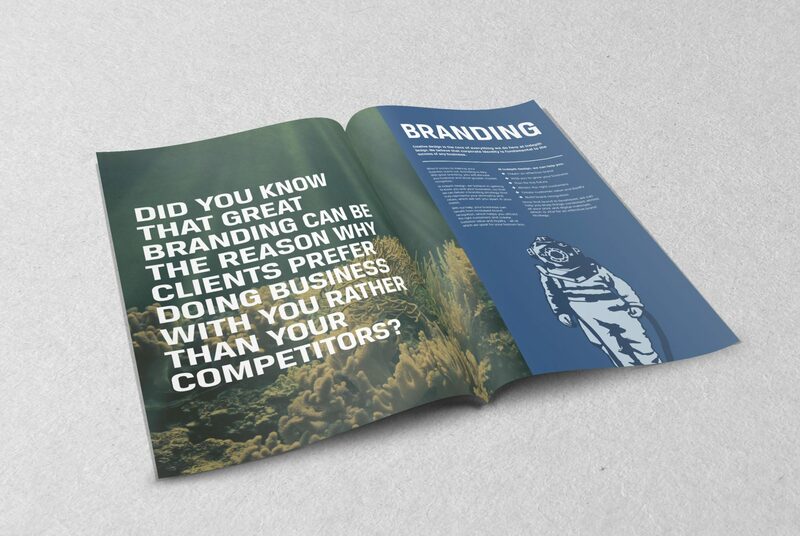 A different colour is used to differentiate each service, as well as to create visual interest and inject a touch of playfulness.